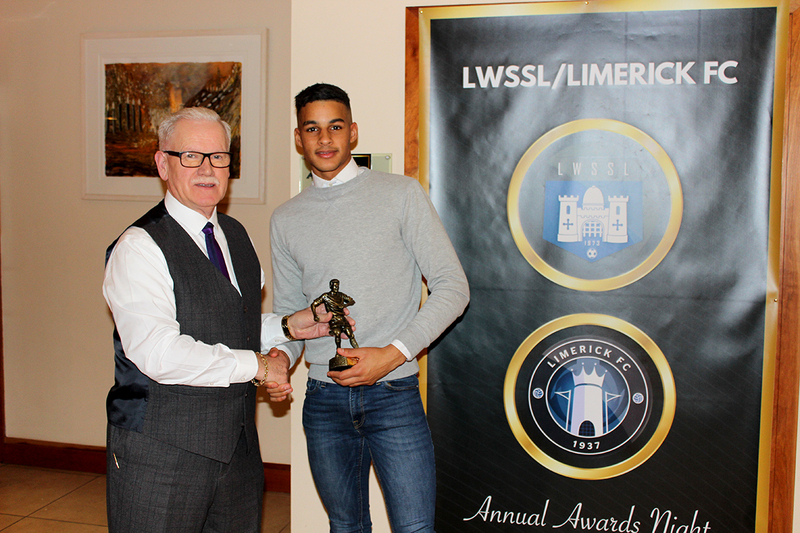 Limerick FC, in association with the LWSSL, held an awards night at the Maldron Hotel on Friday, where our young Superblues received accolades at Under-19, Under-17 and Under-15 level, as well as the announcement of our Underage National League Overall Player of the Year. 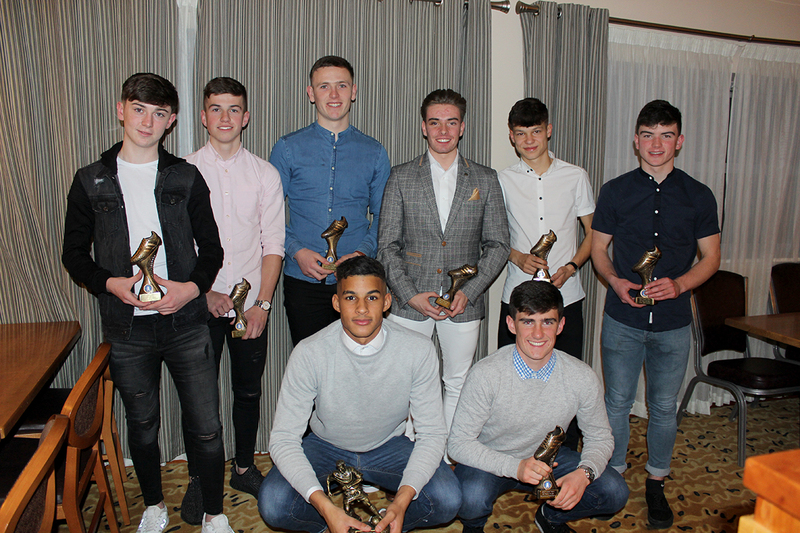 Under-19 Player of the Year Tommy Holland (work), and runner-up in the Under-17 category Lee Devitt (abroad) were unable to make the evening. 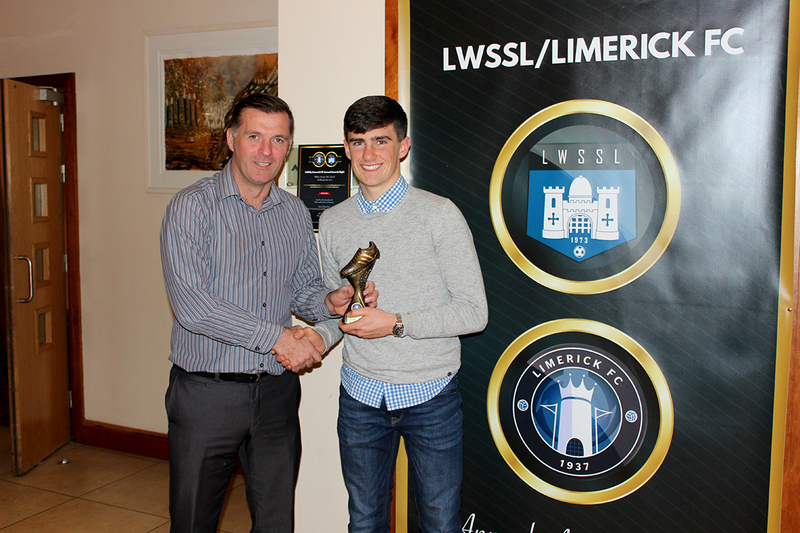 Our Underage National League Overall Player of the Year is Barry Cotter! Barry arrived at the club in 2015 as a forward but has excelled in defence. He has done nothing but improve over the past two years, and his performance saw him become a first-team regular in recent months, making 11 league appearances since May. 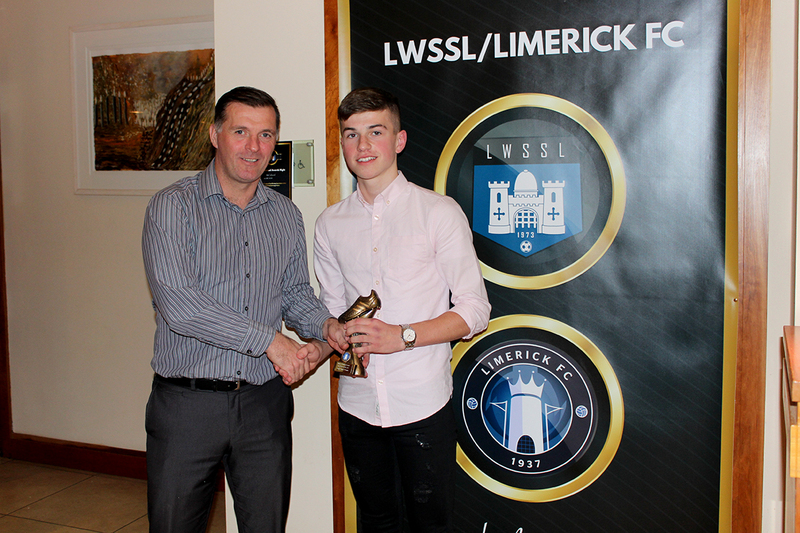 Our Under-15 Player of the Year is Adam Fitzpatrick. 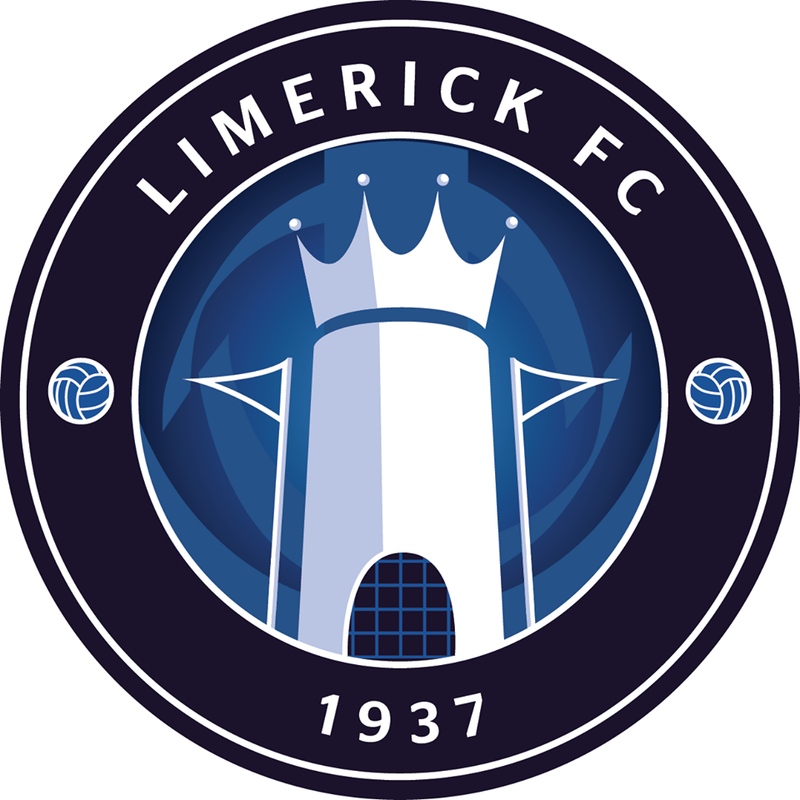 The midfielder captained the team and his leadership abilities helped Limerick enjoy a fine season. His wonder-double in the opening-day win over Waterford lit up Limerick’s first ever game at this level. Runner-up in our Under-15 category was midfielder Filip Mostowy. Filip has been at the club for a number of seasons and has continued to improve. 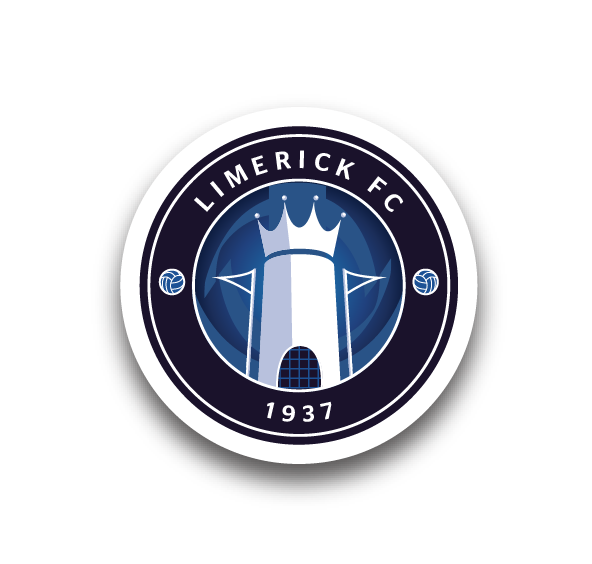 He produced fine performances throughout the campaign and hit six goals for Limerick. 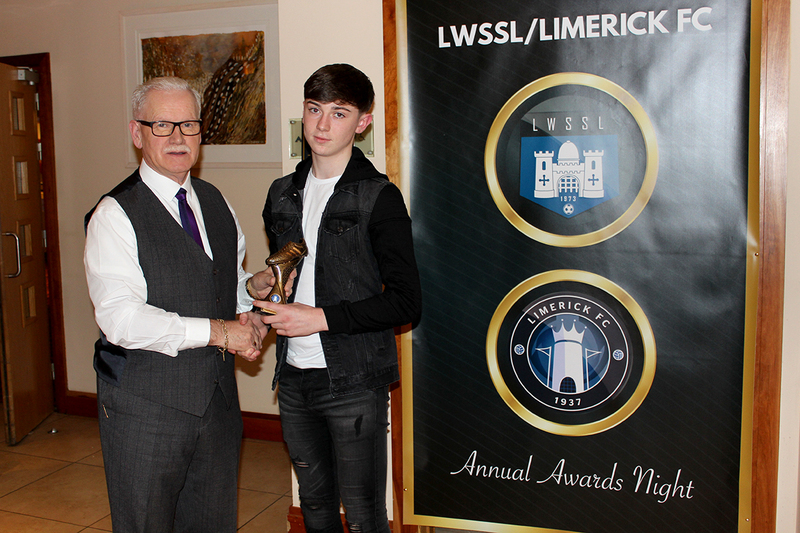 Second runner-up in our Under-15 category was defender Scott Kirwan. 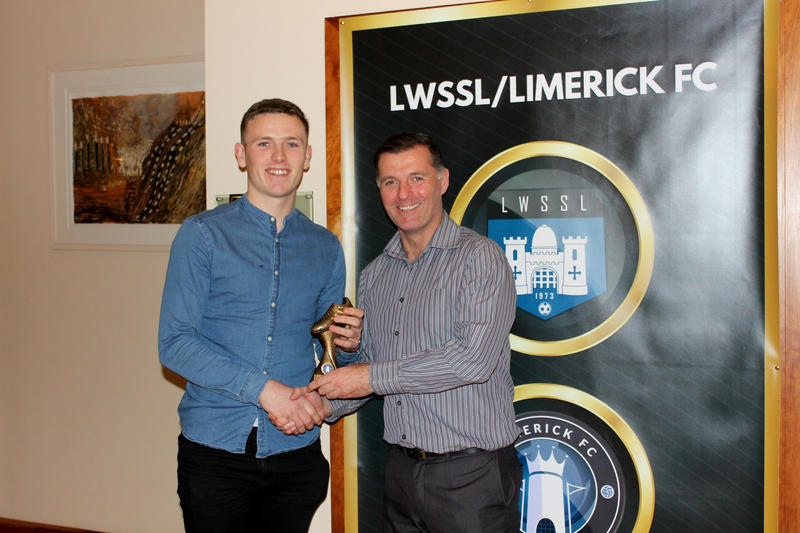 Like a number at this level, Scott was new to the club but adjusted very well to the standard, with his performances warranting this award, as Limerick narrowly missed out on quarter-finals. 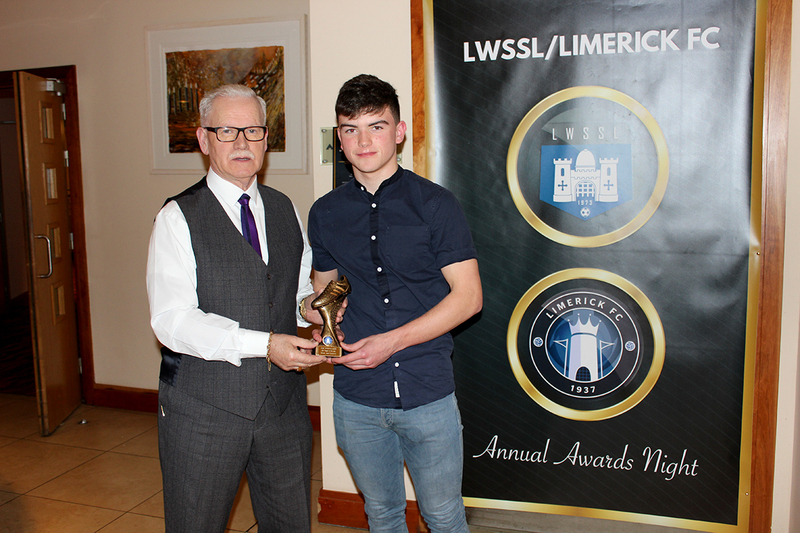 Second runner-up in our Under-17 category was goalkeeper Michael Garrihy. Michael was new to the club this season but adjusted very well with his all-round attitude to the game fantastic. Consistently good, performance levels rose through the season. 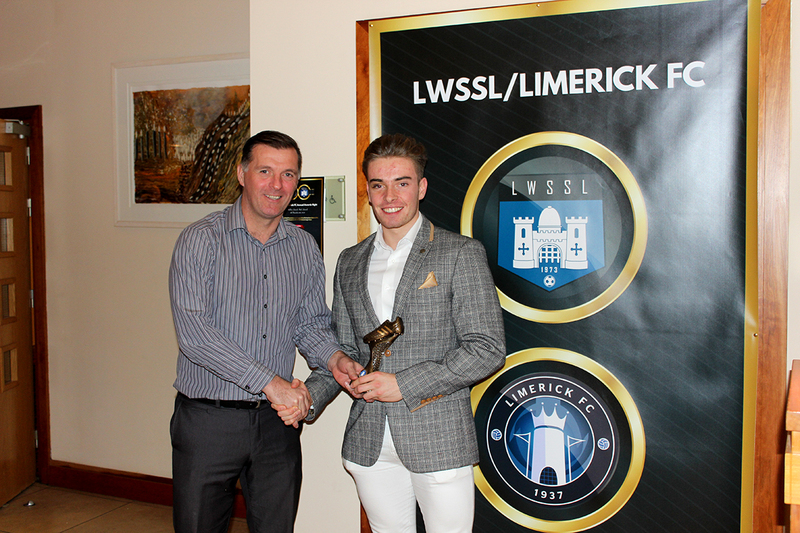 Runner-up in the Under-19 category was defender Alan Murphy, who adapted well in different positions at the level this year and earned a first-team start under Neil McDonald in the final game of the season away to Shamrock Rovers. 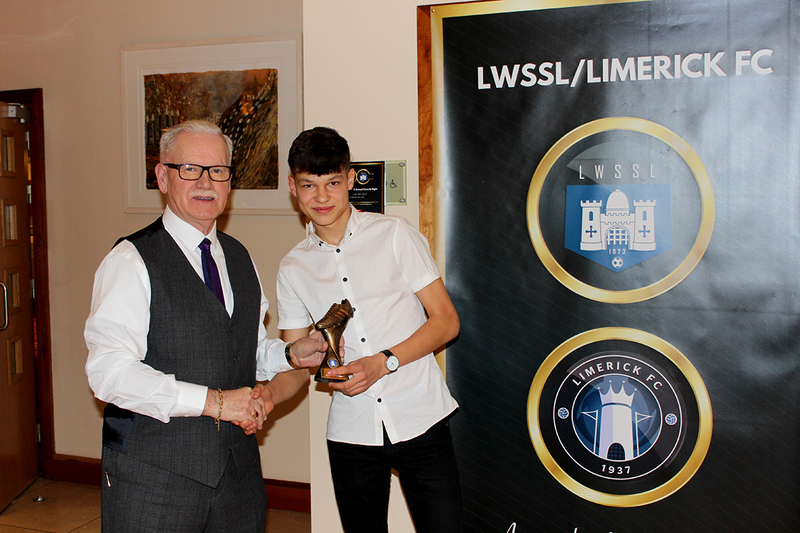 Second runner-up in the Under-19 category was defender Killian Brouder, who started every game at the level when available as well as forming part of Neil McDonald’s first-team squad. 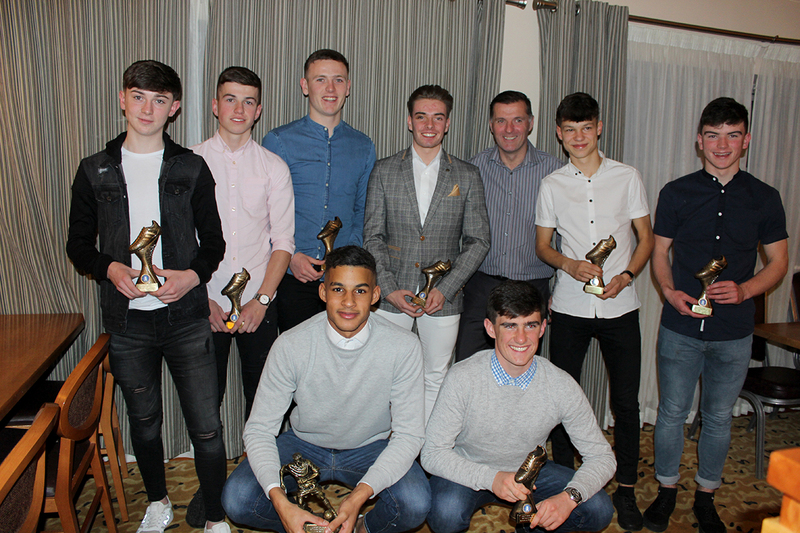 Group shot of our Under-19, Under-17 and Under-15 award winners, with Limerick FC Academy Directory Willie Boland.